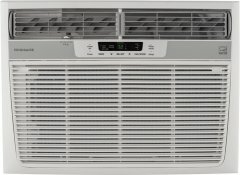 Because of this air conditioner's overall ranking of 89%, we are confident that the Frigidaire FFRE1833S2 is currently Alphachooser's best Frigidaire air conditioner 2019. Furthermore, we think that our 791 reviews sampled from our sources give us a high confidence level (more on confidence levels) that justifies making it a "no-brainer best choice." 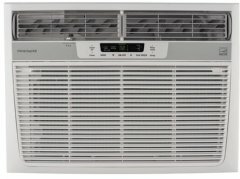 Because of star rating of 4.5 derived from 416 reviews, here is what we consider second best Frigidaire air conditioner. * This list, by the way, is based on an in-depth aggregation of hundreds of reviews from around the web. 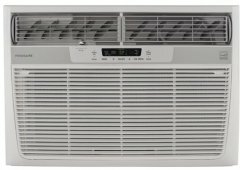 A small budget window-mounted 5000 BTU a/c that comes with Frigidaire's Spacewise adjustable side panels (for a snug window fit) and a full function remote control for its common set of features. A 12000 BTU air conditioner with a sleep mode, a thermostat-equipped remote control and a relatively high efficiency rating (EER) of 11.3. Frigidaire's 10000 BTU model with an 11.3 energy efficiency ratio that comes with the same thermostat-equipped full-function remote control as other Frigidaire models, a sleep mode and 8-way air deflection. A low profile window-mounted 6000 BTU a/c that can shoot cool air out of an 8-way deflection grid. A mini window-mounted air conditioner with a thermostat-equipped remote and an 8-way air flow and an antibacterial filter with a change-filter alert. A classic portable air conditioner with an antibacterial filter and a rather low energy-efficiency rating of only 8.6.